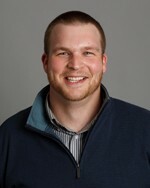 Several months back, Devan McConnell and I attended the MIT Sloan Sports Analytics Conference in Boston. If you’re not familiar with the event, it’s essentially a weekend of panel-based discussions with industry experts on topics pertaining to the use of data in sports, all in the pursuit of gaining a slight edge over the competition. Many of the panels were divided by sport, but there were several others on topics like wearable technology, agents/negotiations, developing a career in the industry. Ask better questions. Make more informed decisions. If you’ve read my work before, you know that I frequently say “If we want better answers, we have to ask better questions.” Below are 3 examples of questions I get frequently, and how they can be reframed to drive move productive discussions and programming decisions. 1) What’s the best way to develop speed? Reframed Question: What is limiting MY development or expression of speed? Programming for speed development will, or at least should, differ depending on the needs of the athlete. A young athlete with a poor strength base will make significant leaps in speed through strength training. Many athletes have significant room for improvement by working on their technique (e.g. 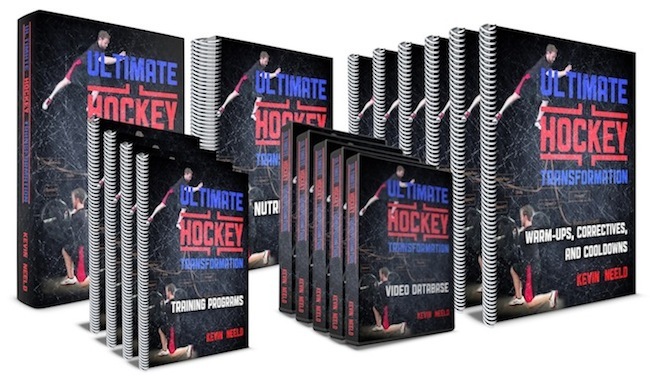 stride efficiency in hockey). In contrast, an older athlete that has spent years focusing on their strength will benefit from an increased focus on rate of force development training (ROFD), will require a highly focused training phase (e.g. a block, not concurrent periodization model) and will likely need longer periods of rest between sprints to ensure full recovery and maximal output. These are all programming decisions that can make a huge impact on the design of the program and the eventual training adaptation. 2) Is squatting (or any exercise) good? Reframed Question: Is squatting (or any exercise) the most optimal exercise based on the desired adaptation and MY structure and movement competency? There are a few different ways to approach exercise selection, but the goal of the exercise and the movement competency of the athlete ALWAYS need to be considerations. If the athlete does not have the ability (whether it’s for structural or functional reasons) to get into a good squatting position, squatting likely isn’t a good exercise choice to develop physical capacities. In other words, it’s not wise to overload a pattern that the athlete can’t perform well. This is not rocket science; it’s borderline common sense. This is far from a comprehensive look at programming strategies, but it provides an illustration of how ANY exercise can be loaded to drive very different adaptations. 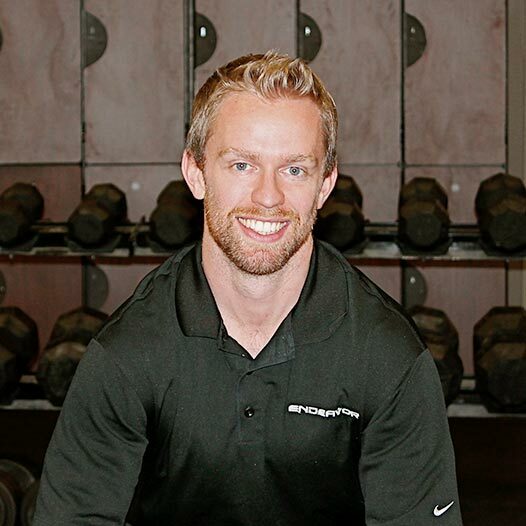 Mike Boyle recently posted a quick Q&A on his site on a related topic: Can You Gain Mass With Split Squats? Can I (or the athlete) do the movement properly? Once again, reframing the original question leads to a very different outlook on the program design process. 3) Is “insert player name” in shape? Reframed: Is the player physically prepared and adequately recovered to fulfill the role the coaching staff needs of them on this night? Asking if a player is in shape illustrates a very superficial understanding of physical preparation. Intuitively, I think we all recognize that “in shape” needs to be operational defined. In other words, in shape for what? Many would assume that a marathon runner is in shape, and that a heavy set baseball reliever is not. “In shape” seems to be defined, arbitrarily, by some unstated combination of aerobic endurance and body composition. This is not to say that there is no value in these two metrics-there is a lot of value in both-but determining whether a player is in shape needs to be defined within the context of the role that player needs to fill. Consider these examples. A few years ago I worked with an NHL guy that was in and out of the line-up and filled a 4th line role when he played. He averaged around 5-6 minutes a night and most shifts were short. From an energy system development standpoint, this players needs are VERY different from a 1st line player that also logs PP and PK minutes to play ~20 minutes/night. The 4th line player plays shorter shifts, has more rest between them, and accumulates less fatigue over the game. In other words, the program could have a greater emphasis on developing alactic power (think pure speed and power with full recovery) and less of an emphasis on developing lactic capacity. I’d want this player to perform well on short sprint tests and reasonably well on an aerobic test like a beep test, but poorly on a 300-yard shuttle repeat test. 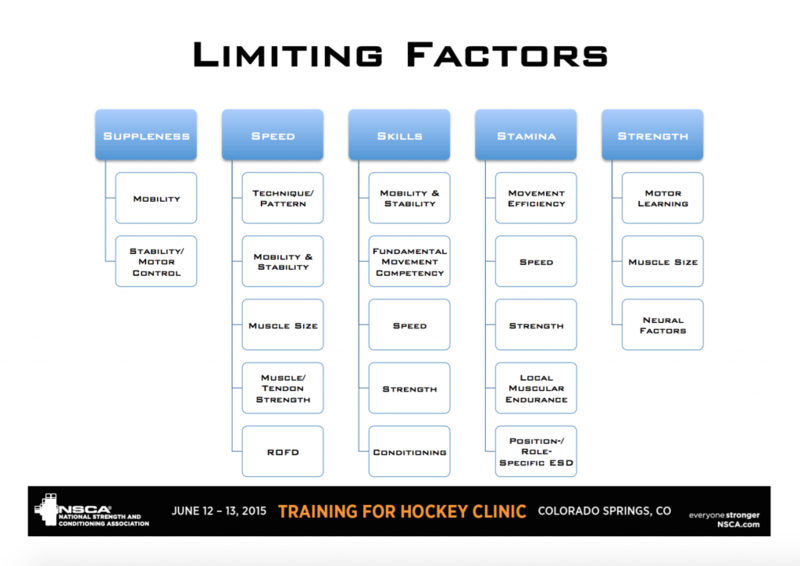 Unfortunately, a lot of times practices aren’t set up to prepare players for their on-ice roles, at least not from an energy system development standpoint. There are a different ways to look at this idea, but the easiest one is to consider the demands of the goalie position. Take a look at the graphs below from Devan McConnell, which display heart rate data for a goalie in a practice and in a game. As a general statement, the game is characterized by highs and lows: Move explosively, recover fully (similar to the 4th line player example above). In stark contrast, practices are characterized with middle-high work loads continuously over the course of several minutes. 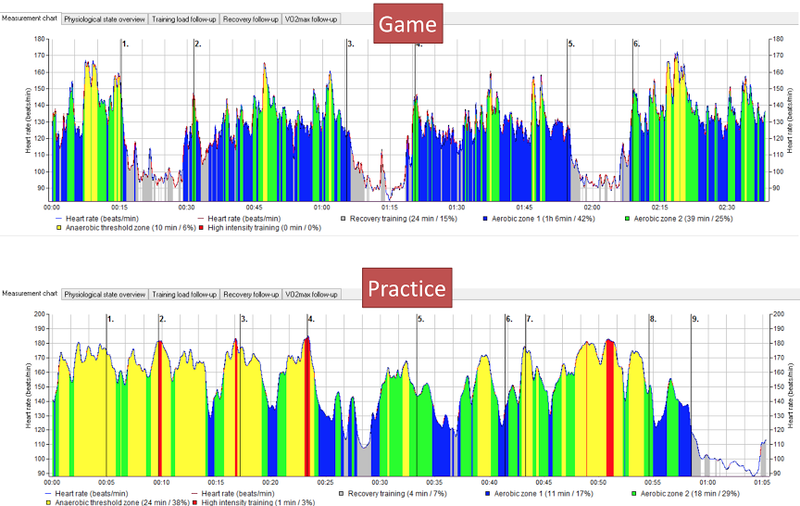 You don’t need a PhD in biochemistry to recognize that the two graphs don’t look alike, and that a player continually being “trained” with the demands of the bottom graph will lead to adaptations that don’t optimally prepare them for performance in tasks like the top graph. Similarly, in the absence of actual testing data, coaches may comment that a player looks slower or out of shape. As is the theme of this article, this type of remark requires context. 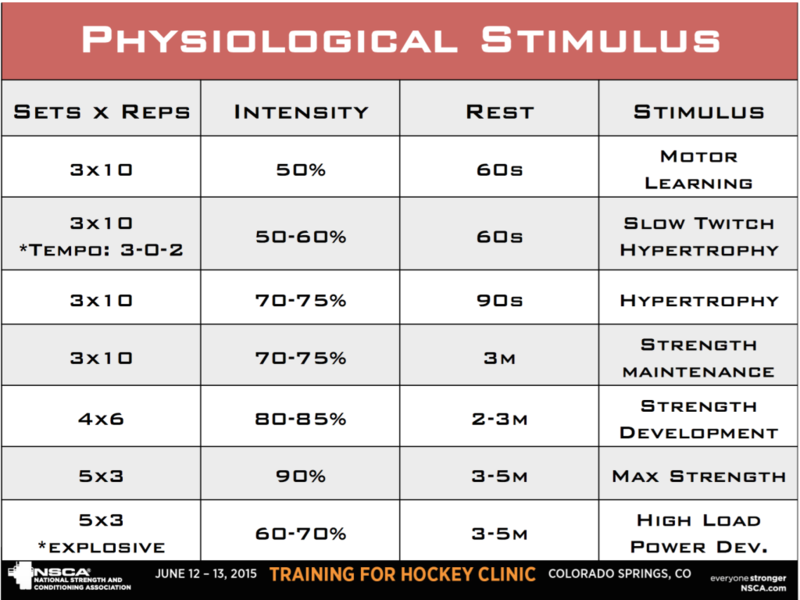 Is a player slow because they’re under-prepared and/or de-trained or because they’re over-stress, over-fatigued, and/or under-recovered? A poor night of sleep (or several poor nights of sleep) will absolutely impair a player’s speed and conditioning, as will accumulated fatigue from a string of hard practices of games. In this case, assuming the player is under-prepared would lead a coach to increase their training, which would have the polar opposite effect of its intention. This really highlights the importance of monitoring workloads, perceived exertion, and subjective recovery. This information will help make more informed training decisions. With two players that look slow, one may require a focused training block on speed/power; another may require an ice bath, massage and day off from practice. Making more informed decisions starts with asking better questions. Often times questions need to be reframed within the context of a specific situation or for a specific individual. Making subtle adjustments in how you ask common questions can have a profound impact on how you program, both from a training and a recovery standpoint.